Austria is a federal republic made up of nine states, known in German as Länder. Since Land is also the German word for "country", the term Bundesländer ("federation states") is often used instead to avoid ambiguity. The Constitution of Austria uses both terms. Even though English "land" is a cognate, the term (Bundes)land is commonly rendered as "state" or "province" by tradition in English writing. The majority of the land area in the states of Upper Austria, Lower Austria, Vienna, and Burgenland is situated in the Danube valley and thus consists almost completely of accessible and easily arable terrain. The other five states, in contrast, are located in the Alps and thus are comparatively unsuitable for agriculture. Their terrain is also relatively unfavourable to heavy industry and long-distance trade. Accordingly, the population of what now is the Republic of Austria has been concentrated in the former four states since prehistoric times. Austria's most densely populated state is the city-state of Vienna, the heart of what is Austria's only metropolitan area. Lower Austria ranks only fourth with regard to population density even though it contains Vienna's suburbs; this is due to large areas of land being predominantly agricultural. The alpine state of Tyrol, the less alpine but geographically more remote state of Carinthia, and the non-alpine but near-exclusively agricultural state of Burgenland are Austria's least densely populated states. The wealthy alpine state of Vorarlberg is something of an anomaly due to its small size, isolated location and distinct Alemannic culture. The following ranked list of Austrian states cites official Statistik Austria population on 1 January 2015. Areas are given in square kilometres, population density is expressed in inhabitants per square kilometre. For the purpose of the above list, a city is a community defined to be a city by Austrian law; a town is a community not defined to be a city. Many of Austria's cities have population figures on the order of ten thousand inhabitants; some are even smaller. Each Austrian state has an elected legislature, the Landtag, a state government, the Landesregierung, and a governor, the Landeshauptmann or Landeshauptfrau. Elections are held every five years (six years in Upper Austria). The state constitution, among other things, determines how the seats in the state government are assigned to political parties, with most states having a system of proportional representation based on the number of delegates in the Landtag in place. The Landeshauptmann is always elected by the Landtag, meaning that it may be necessary to form a coalition in order to secure the election of a particular candidate. Vienna, the capital of Austria, plays a double role as city and "Bundesland", meaning that the mayor serves as governor and the city council as Landtag at the same time. Austrian federalism is largely theoretical as the states are granted few legislative powers. The federal constitution initially granted all legislative powers to the states, but many powers have been subsequently taken away, and only a few remain, such as planning and zoning codes, nature protection, hunting, fishing, farming, youth protection, certain issues of public health and welfare and the right to levy certain taxes. All other matters, including but not limited to criminal law, civil law, corporate law, most aspects of economic law, defense, most educational matters and academia, telecommunications, and much of the healthcare system are regulated by federal laws. There is also no judiciary of the Länder, since the federal constitution defines the judiciary as an exclusively federal matter. This centralisation follows a historic model where central power during the time of the empire was largely concentrated in Vienna. However, the state governor (Landeshauptmann) is in charge of the administration of much of federal administrative law within the respective state, which makes this post an important political position. Furthermore, state competences include zoning laws, planning issues and public procurement on the regional level, which adds considerable weight to state politics. As a practical matter, there have been cases where states have been able to block projects endorsed by the federal government, as in the case of a railway tunnel that was to be built below the Semmering. Austrian Länder are endowed formally and practically with a much smaller degree of autonomy than American or German states. Even so, Austrians tend to identify passionately with their respective Land and often defend what little independent governance their states have. It is not unheard of for Austrians to consider themselves, for instance, Tyrolean first, Austrian second. In terms of boundaries, the present-day states arose from the crown lands of Austria-Hungary, an extensive multiethnic realm whose German-speaking nucleus emerged as the Republic of Austria after the dissolution of the Dual Monarchy at the end of World War I. The states of Upper Austria and Lower Austria are essentially equivalent to what were since 1783/84 the two autonomous halves of the Archduchy of Austria, a principality which formed the empire's historic heartland. Salzburg is coterminous with the former Austro-Hungarian Duchy of Salzburg (the former Archbishopric). Similarly, the state of Carinthia descends from the Duchy of Carinthia, the state of Styria descends from the Duchy of Styria, and the state of Tyrol descends from the Princely County of Tyrol; these states had to cede territories to Italy and Yugoslavia when Austria emerged in its present form. Also, the state of Vorarlberg had been a semi-autonomous part of the County of Tyrol since 1861. The city-state of Vienna was a part of Lower Austria up until 1921. 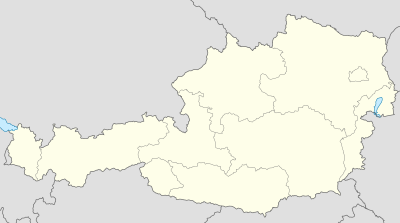 The state of Burgenland is made up of the predominantly German-speaking area that the Kingdom of Hungary until 1921 had to cede to the First Austrian Republic after World War I as a result of the Treaties of Trianon and Saint-Germain-en-Laye. Wikimedia Commons has media related to States of Austria. ^ STATISTIK AUSTRIA - Bundesländer. Statistik.at. Retrieved on 2015-05-02.